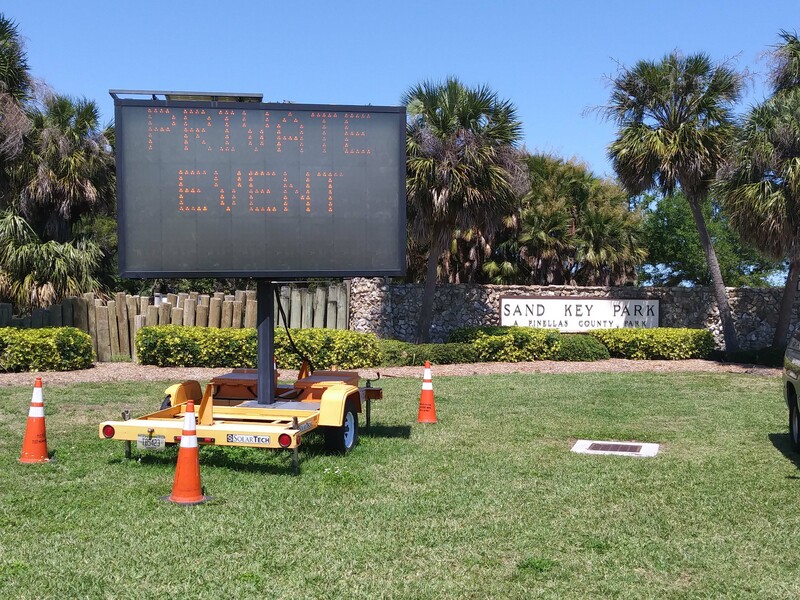 Every year, Pinellas County government closes down for a day to have a “workforce recognition and staff training event.” Translation: county government closes Sand Key Park to the public for a day, and then throw themselves a party. This year’s party was yesterday, April 25th. What has changed since last year’s party is a 2nd District Court of Appeals decision this past October involving Treasure Island and the use of vehicles on the beach during special events. The Guardian broke the news about that court decision. The lawsuit cost the City of Treasure Island upwards a million dollars to fight and lose. Pinellas County now seems to be ignoring that court decision. Already during setup the day before the event, we found apparent clear violations of Florida Statute 161.58(2). The statute bans “vehicular traffic” on “coastal beaches,” which are lands seaward of the coastal construction control line. The party area is such land, and a violation of this particular law is a misdemeanor. The court was clear in its decision: parking is in fact “vehicular traffic” and thus not allowed except when necessary for “cleanup, repair, or public safety.” This event is neither cleanup, repair, nor public safety. When we asked county attorney Jewel White about clear misdemeanors already on setup day, White e-mailed us the Florida Department of Environmental Protection (DEP) permit for the event. However, the permit does not grant a license to violate state statutes, nor could a permit ever do so. Treasure Island also used the “we have a DEP permit” defense in court for their beach events. They lost. On the day of the event, we found many vehicles and trailers on the beach. County employees pulled a BBQ smoker out on the beach (see below) and parked it on native stabilizing vegetation. Could a citizen get a permit to be allowed to do that? Based on what we documented on setup day, we complained to DEP Southwest District director Mary Yeargan. DEP then found reason to send out an inspector. The inspector’s report will be completed May 7th, and we will follow up once that report is available. However, DEP limpwristedly toed the government line in the Treasure Island case. It was also under director Yeargan’s watch that her district office could see no evil and smell no evil as St. Pete dumped sewage into local waterways dozens of times over a five year period. However, when the putrid reality of the St. Petersburg sewage scandal was upon us, DEP sprung into action as if shot out of an office chair. Therefore, we have reason to not have high hopes that DEP will actually enforce the law banning vehicular traffic on the beach…especially not against another government agency. CLICK on any image for a larger view! 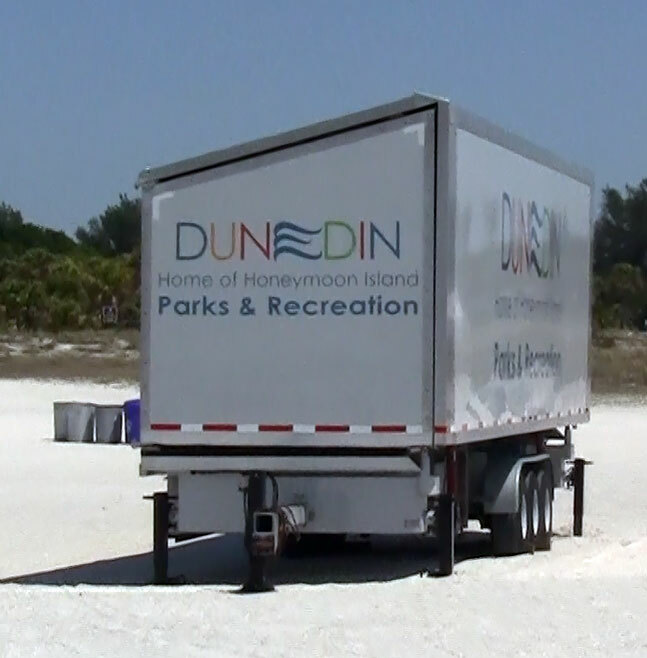 Above are three trailers and one older model county-owned van on the beach. Pictured on the right is the sound stage in use, a Pinellas County Communication van, and a generator. We decided to speak to park rangers (“the beach patrol”) about our concerns. They are county employees and before even hearing our concerns, they referred us to park director Paul Cozzie . We then kicked it up a notch: we found another park ranger and alleged criminal violations. The ranger may have recognized the reporter’s name, said “every year we do this, every year you do this.” The ranger then referred us to the Board of County Commissioners. WFLA reporter Mark Douglas also pointed out the $12,630 it cost taxpayers for food and drinks, lost work hours (upwards half a million dollars), and the lost parking revenue for that day. And why exactly did these government employees NOT have to pay to park that day when everyone else has to pay. The parking lot was full, so people were parking on the grass. We saw dozens of vehicles illegally parked on the grass. In some cases, they were parked on low bushes, as seen on the left. To be clear: parking this way is cause for a parking citation. Even if overflow parking on the grass is permitted, the low bushes could have been spared and the vehicles could have remained on the grass by simply parallel parking. The drivers chose not to. Perhaps those drivers didn’t want to incur the longer walk that would have entailed, or maybe they just felt entitled to do as they please when they think no one is watching. As people starve in socialist Venezuela, non-starving government employees shop in special grocery stores available only to them. That kind of system began at some point in the past with perhaps minor special treatment for government employees. Then it grows, and grows. And grows. We didn’t have time to wait for the dancing to start. Below is some of the dancing that occurred at the same event three years ago. 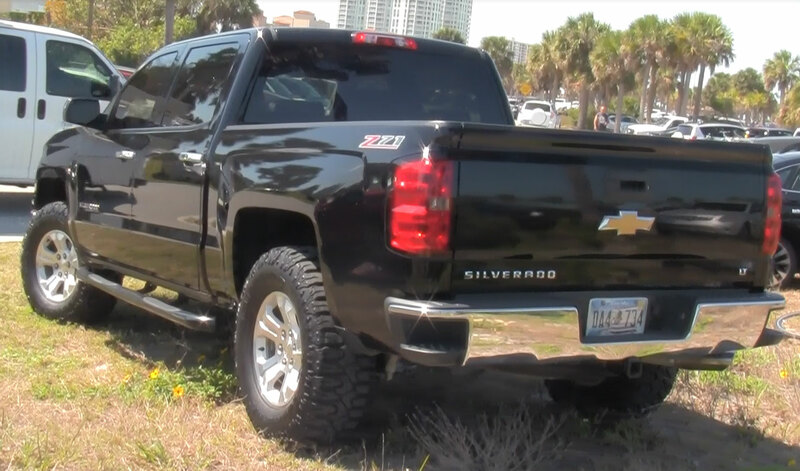 The video also shows vehicles on what we now chose to call “Misdemeanor Beach” at Sand Key Park. We will dig deeper into the facts surrounding this event and keep you updated. 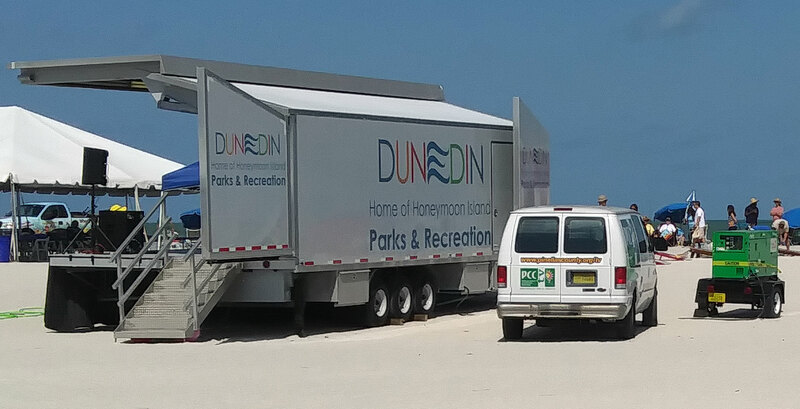 We will also apply to the county, who has jurisdiction over Sand Key Park, for permission to hold the exact same party they had….but as a private sector event.